Share prices of the world's five leading gold producers have declined much faster than the gold price in 2013, the Financial Times reported Wednesday. Gold has mounted a strong comeback since its mid-April collapse, regaining over 50% of the loss. Dating back to January the price of bullion is down 12%, which is not bad considering what has happened with the big miners. Shares of Goldcorp, now the world's largest gold miner based on market cap, have dipped 20%. 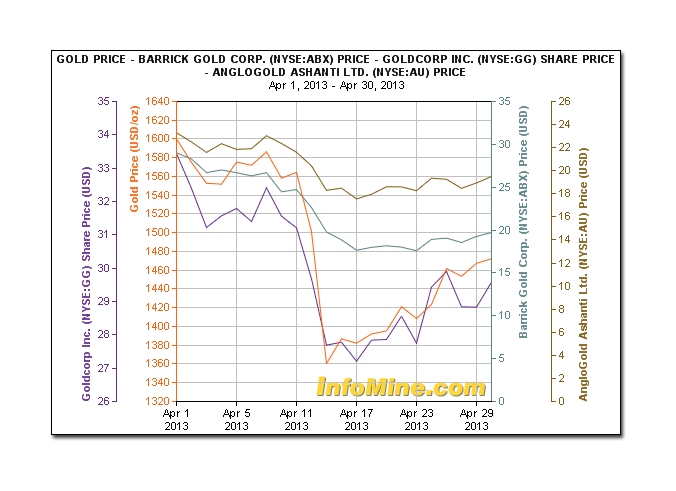 The world's second largest gold miner, Barrick, has lost 44% of its stock value. The shares of Newmont, Newcrest, and AngloGold Ashanti have fallen 32%, 27% and 37%, respectively. Evy Hambro of BlackRock claims that careless expansion by gold miners during the good times is coming back to bite the industry. 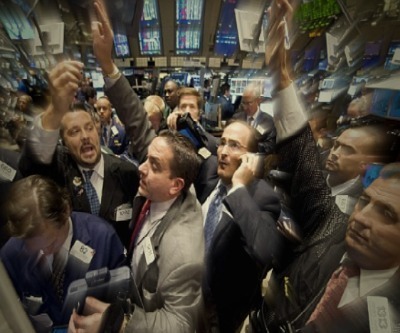 Hambro suggests that miners problems are now clearly on display after being "masked" by a rise which took the precious metal "from $250 a troy ounce in mid-1999 to a nominal all-time high of $1,902.59 an ounce in September 2011."